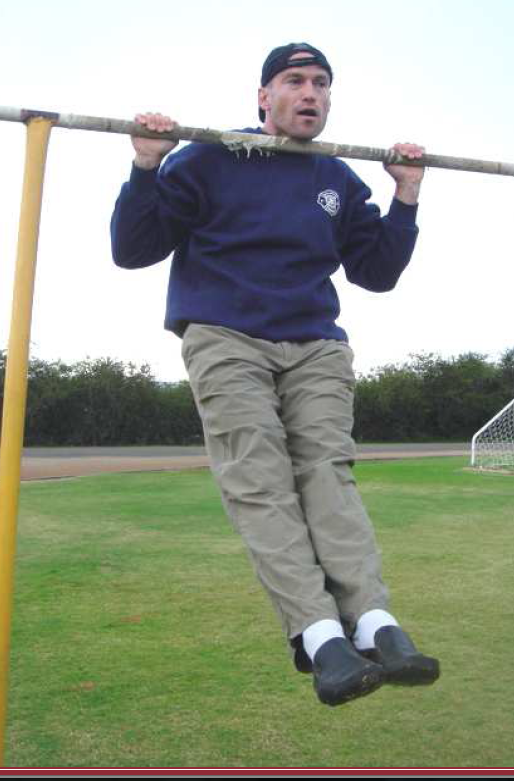 Here’s how Pavel describes the technique used by special forces personnel to work pull-ups into their busy classroom and training schedule: "We would file out to the pull-up bars and perform what we called ladders. I do a pull-up, you do one. I do two, you match me, etc. until one of us cannot keep up. Then, if we still had time, we started over. One rep, 2 reps, 3, 4, 5, 6, 7, 8, 9, 10... 1, 2, 3, 4, 5, 6, 7,... 1, 2, 3, 4, 5. We totaled hundreds of pull-ups almost daily without burning out, and the extreme PT tests of our service were a breeze. Most of the time I train alone, so the question arises... How much do I rest in between reps? My solution to this dilemma is pretty simple. I use a rough formula of 10 seconds rest per completed rep. So if I'm doing chin-ups, I will do 1 chin, count to 10, do 2 chins, count to 20, do 3 chins, count to 30, and so on. This is not a set-in-stone system, and sometimes my rest periods will be little longer or a little shorter. While everyone should find a system that works for them, I find that this method allows me to do quite a few reps with good form.